Four days after ESPNCricinfo took down an article by Ed Smith titled “Why sportsmen need stress”, the editor Sambit Bal made a statement explaining this decision. The statement excludes elementary facts about the matter such as the title and publication date of the piece, let alone a link to the piece. Nor does it provide any details about the original essay in The Economist, to which, as Mr. Bal says, the withdrawn piece “bore striking similarities”. Mr. Bal’s clarification does not appear on the frontpage of their website. Unless one followed him on Twitter, or happened to come across Mr. Bal’s tweet shared by someone else, one would never know that the clarification had been issued. Even if you did come across the statement, if you were not already familiar with the facts of the matter, you might be left wondering (like these – 1, 2, 3) what Mr. Bal was talking about. In his statement, Mr. Bal notes that Mr. Smith’s article “did not meet our editorial standards for sourcing, and since the stark resemblance between some paragraphs was impossible to ignore, we decided to insert an attribution immediately, and have subsequently decided to take the piece down altogether.” This is the only sentence in Mr. Bal’s explanation which is relevant to the facts of the matter. It creates more questions than it answers. Why was the original amendment and footnote considered adequate on July 29? What changed between July 29 and August 10 to make the decision to withdraw the article altogether? Of the five paragraphs in Mr. Bal’s statement, one is entirely devoted to praising Mr. Smith, extolling his “intellect, erudition, research, and curiosity about human behaviour”. It makes one wonder whether the statement is about the withdrawal of the essay, or about Mr. Smith’s virtues as a writer. It is not clear why Mr. Smith’s apparent reputation should mitigate the facts of the matter. When the article was originally amended on July 29, the following footnote was added: “The author, who has taken an interest in the study of stress and written on the subject for many years, wanted to acknowledge the Economist’s survey of the subject”. I had requested ESPNCricinfo [on August 9] to explain the basis of their claim that Mr. Smith had written on the subject of stress for many years. They have not provided any such evidence to date. I have found no significant evidence of Mr. Smith’s writing on the subject of stress either on ESPNCricinfo or at the New Statesman. What Smith has done to The Economist’s (accurate) description of Crum’s work is similar to what he has done to their (accurate) description of Selye’s work. He has, it appears, replaced a word here and there, and done so in such shabby fashion that it ended up misrepresenting the original work. Even if we discount the probable plagiarism, Smith’s account is wrong. Anybody who bases their understanding of the modern account of stress on Smith’s account will get an incorrect picture. Smith does say towards the beginning of the piece “First cricket, then a little science.” A little science is a dangerous thing. Given these points, the shape of Mr. Bal’s statement – light on the facts, effusive about Mr. Smith – is of doubtful merit. On August 12, the Daily Mail reported that “Test Match Special commentator Ed Smith has been suspended from his Cricinfo columnist role after a recent article about sporting stress was allegedly remarkably similar to a piece in The Economist.” Mr. Bal’s statement does not address this claim at all. I have tried contacting Mr. Smith via email and social media on multiple occasions. He replied to me on July 30 that he would get back to me later, but has been silent ever since. He has also been completely silent about this issue on his Twitter feed. However, between July 25 and August 12 he has published two articles, one for ESPNCricinfo and one for the New Statesman, and shared them on his Twitter feed. He also continues to commentate on BBC Test Match Special. He continues as if nothing has happened. It is important that cricket fans and his employers realize that this continued, studied silence is at least as damning as the original apparent plagiarism. In this day and age, what does it say that a much celebrated columnist and commentator can avoid making a comment for more than two weeks while repeatedly being asked for clarifications by all and sundry, and that he is allowed to continue to carry on spouting his opinions uninhibited over our airwaves? It screams of entitlement and privilege. When I wrote an essay for (ESPNcricinfo’s) The Cricket Monthly on Street Cricket in India (“Taking it to the streets“} last year, I had written in the copy I sent in that Polur, the town I grew up in, in India, is about 200 kilometers from Chennai. But the sub-editor checking the piece, got back to me to say that, according to Google Maps it is only 168 kms. The line was corrected to indicate “I grew up in Polur, a small town about 170km south-west of Chennai“. It made me so happy that such attention to detail was paid at Cricinfo. That’s the Cricinfo I have always admired and respected, and proud to have contributed columns and podcasts to, and it still exists. 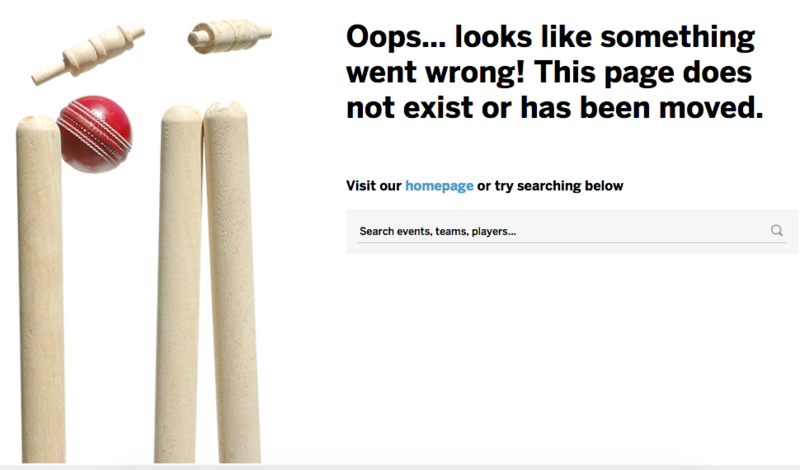 This entry was posted in Miscellaneous and tagged Ed Smith, ESPNcricinfo, Plagiarism, Sambit Bal, The Economist. Bookmark the permalink. Do you think cricinfo was aware of the economist article while publishing Smith’s column? Very interesting. I remember reading the Cricinfo article when it came out but was unaware it had been pulled down since and was the subject of such controversy. Thanks for following-up on this! yes cricinfo was aware of the economist article .